Useful Solutions has advised and worked with both doctors in general practice and medical specialists. 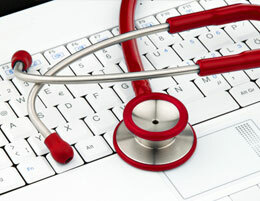 We have researched and advised doctors on patient recording and billing systems and set up Internet connections, PCs, networks and printers. One client wanted to convert his practice to a paperless one, so we gave advice on the required equipment and the appropriate way to proceed with the conversion. We also liaised with pathology laboratories, so that the doctors would be able to get their patients’ pathology results over the Internet. A client wanted to provide online consulting to some patients, so we purchased the required equipment and software and set it up to enable them to do this. A medical specialist wanted advice on speech-to-text software, to be able to dictate and produce their own letters to doctors. We recommended and installed the appropriate software for them to successfully do this.